Kawasaki GPZ500S Lowering links for year models 1994-2007 1.57″ inch lowering kit. 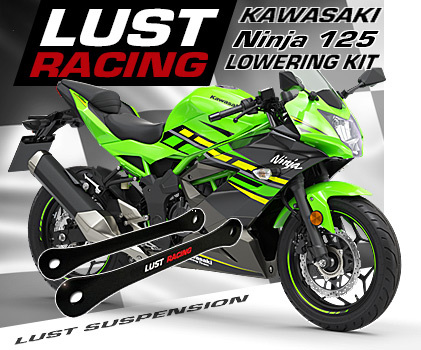 Lower the seat height on your Kawasaki GPZ500 by installing thes high quality rear suspension lowering links. Lowered suspension not only means a reduced seat height, also the point of gravity moves downwards so the bike becomes easier to handle. A lowered bike will also have improved high speed stability and increased rear wheel grip. 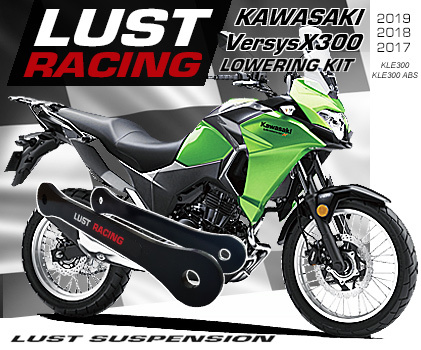 This lowering kit is made in England by Lust Racing Europes leading manufacturer of high quality lowering kits for motorcycles. Manufactured of roll forged steel these links will never fail. Powder coated black for excellent corrosion resistance. Excellent modification for shorter motorcycle riders who do not otherwise reach down to the ground with both their feet. The lowering kit for Kawasaki GPZ500S is supplied complete with installation instructions. *Free shipping offer valid only in combination with purchase, please see our terms and conditions.